Read Hilary's Cor orans, Part I HERE. One of the abiding characteristics of documents coming from the current administration in the Vatican is the aspect of “bait and switch,” the clever couching of completely opposite intentions in pious Catholic language. Many of the critics-of-the-critics of Amoris Laetitia pointed to the “good” passages of that document praising the family, and excoriated as “paranoid” the people who pointed out that these were there mainly to serve the function of the sugar that helped the drop of arsenic go down. This seems to be the pattern for nearly all documents of this pontificate, and Vultum Dei Quaerere (VDQ) from Pope Francis and Cor Orans, (CO) the Instruction from the Congregation for Institutes of Consecrated Life and Societies of Apostolic Life, that lay out the Bergoglian New Paradigm for contemplative nuns, appear to be no exception. 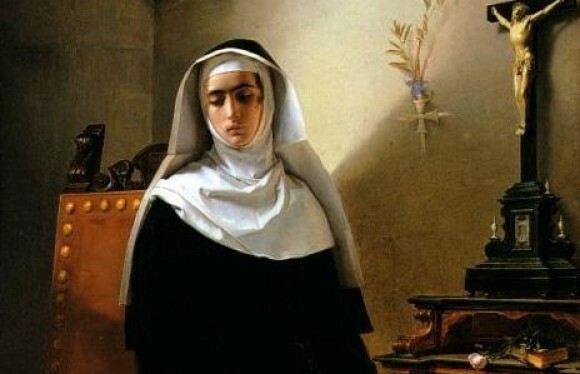 “The life of contemplative nuns, engaged in prayer in a very special way, in order to keep the heart constantly turned towards the Lord, in asceticism, and in the fervid progress of spiritual life, is nothing other than a striving to the heavenly Jerusalem, an anticipation of the Eschatological Church, fixed on the possession and contemplation of the face of God. So much for the sugar bait. Now the switch. The next few articles address one of the fundamental issues of cloistered life, namely the cloister itself, defining it as “a space to be protected, to prevent access by strangers.” Two years ago, Vultum Dei Quaerere, the papal document for which Cor orans is the follow-up, bizarrely insisted that instead of determining the “form” of cloister according to their own customs and constitutions of their orders, each community would be required “to ask the Holy See what form of cloister it wishes to embrace, whenever a different form of cloister from the present one is called for.” You’ll take what we give you, and thank us for it, in other words. That strange tune has changed in Cor orans, reportedly after consultation with some cloistered nuns who objected to this wording. The “forms of cloister” are now to be determined according to a community’s constitutions. CO, however, first makes each superior of a monastery into a “Major superior” – a canonical category granting distinct legal powers – and then allows individual major superiors to determine the form of cloister a monastery will take and to “safeguard” the integrity of the cloister, to decide who comes and goes. One nun I consulted pointed out that over the last few decades, one of the biggest problems in religious life is the complete absence of any unified practice regarding cloister. Most cloistered monasteries have effectively already – mainly through the neglect of oversight from either bishops or Rome since the ‘60s – become widely “diversified” in their treatment of their “separation from the world,” quite in contradiction to their orders’ actual rules and constitutions. The romantic picture many Catholics have of a cloistered nun being radically separated from the world, living forever behind her cloister walls, exists now in real life only a very few places in the world. But this odd comment ignores the problem of this “loose interpretation” of cloister that is already the norm among many nominally cloistered communities, that flouts in practice the very notion of both cloister and the given order’s unified identity. To illustrate, most monastic communities, contrary to traditional practices, routinely allow outsiders to visit inside the cloister and nuns to “go abroad”. This de facto “open doors” policy is now so common throughout the world in female monastic life as to be considered normal. A few weeks ago one house of Poor Clares in Sardinia advertised a concert in their monastery with the orchestra and audience to be seated in the cloister’s central garden. No one batted an eye, apparently. Indeed, in Italy most monastic houses are regarded as little more than notionally religious “agritourismos” offering cheap rooms for a weekend getaway in the country. There are usually “cloistered” sections of the monastery off limits to guests, but it is quite normal to be invited to sit in the choir with the nuns if you show an interest in joining them for the Office. The oddity of CO and VDQ broadly allowing these kinds of practices to continue is offset by the imposition of top-down control by the Vatican through the Federations – granted massive and unprecedented powers over formation and the temporal goods of all monasteries – that the document requires everyone to join. Leaving the papal cloister, unless with particular indults of the Holy See or in case of danger, is permitted by the Major Superior in ordinary cases, regarding the health of the nuns, the assistance of the infirm nuns, participation in courses of initial and ongoing formation meetings organized by the Federation or by another monastery, the exercise of civil rights, and those necessities of the monastery which cannot be provided for any other way. The Instruction (art.201) seems to take for granted that novices or nuns in temporary profession would “perform part of their formation in another monastery of the Institute,” and be making “temporary or definitive transfers to other monasteries,” decisions that the Instruction also gives Federation presidents the power to make. I realise that the logical principle of non-contradiction isn’t popular among the Vatican’s current administration, but two opposite things can’t be reconciled. To paraphrase Aristotle, cloistered nuns can’t be both cloistered and not cloistered at the same time and in the same respect. Again the Instruction starts us off with a bland but broadly traditional statement of how formation works for nuns. A nun becomes with full rights a member of the community of the monastery sui juris and participates in its spiritual and temporal goods with the profession of solemn vows, the free and definitive response to the call of the Holy Spirit. The candidates prepare themselves for solemn profession passing through the various stages of the monastic life, during which they receive an adequate formation and, although in a different degree, they are part of the community of the monastery. Formation as a continuous process of growth and conversion that involves the whole person must favor the development of the human, Christian, and monastic dimension of the candidates and nuns, radically living the Gospel, so that one's life becomes a prophecy. 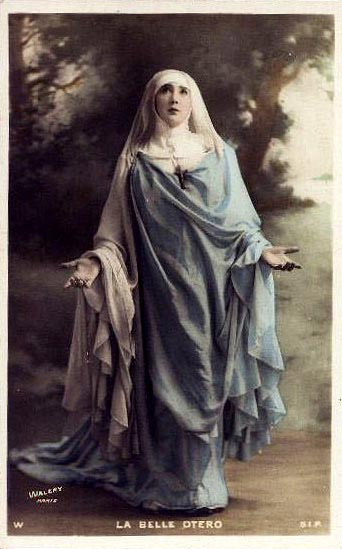 The purpose of ongoing formation is to nourish and preserve fidelity, both of the individual nun and of the community, and to bring to completion what was begun in initial formation, so that the consecrated person can express fully her own gift in the Church, according to a specific charism. Sounds like they’re just describing religious life. Everyone knows that the purpose of all religious life is to conform the person to Christ, through a lifetime of prayer and penance. This is how religious life makes you a saint, right? These “ongoing formation” programmes are to be provided by the Federation, not the monastery the nun lives in. Thus the Congregation is effectively hijacking formation of nuns, centralising it through the imposition of mandatory Federation membership. The Federations, of course, answer to the Congregation more than they do the membership, and the monasteries answer to the Federation. Novices and juniors are expected to attend these “formation courses,” and pressure is put on a monastery that declines to participate. These courses appear to be structured like an academic conference at which the novices from many monasteries gather at a hotel conference room to hear speakers and then “break into small groups” to talk about what they’ve heard. It seems that the techniques of modern corporate management have become the working model for monastic life, with very little resistance. Surely the first instrument of ongoing formation for all consecrated persons, even more so for contemplatives, is care of the life of prayer: liturgies well prepared and dignified, according to the possibility of the community; fidelity to moments of personal prayer to guarantee that space where one can establish an intimate relationship with the Lord; care of the relationship with the Word, through personal lectio and community collatio, when possible. Art. 3 §2. In order to ensure adequate ongoing formation, federations are to promote cooperation between monasteries through the exchange of formational materials and the use of digital means of communication, always exercising due discretion. - 4. Sisters charged with the sensitive task of formation may also attend, servatis de iure servandis, specific courses on formation outside their monastery, always conducting themselves in a way fitting and consistent with their own charism. The Congregation for Institutes of Consecrated Life and Societies of Apostolic Life is to issue particular norms in this regard. - 7. To ensure a high quality of formation, monasteries should, as circumstances dictate, promote common houses for initial formation. This last means that a group or Federation of monasteries of a given order is, if possible, to have a common house of formation for all candidates for all monasteries. That is, if the traditional Benedictine Sisters of Mary at Ephesus in Gower Missouri join a Benedictine Federation, it will necessarily be with Benedictine houses that adhere to completely different, Novus Ordo, forms of liturgy. This means if they have some homeschooled, traditional Catholic young ladies who want to join, they have to send these girls to a house of formation that will include candidates for all other, Novus Ordo, houses of the Federation, instead of allowing them to enter in Gower directly and be formed there, “in house”. You can see the problems. “Creative Fidelity” – what’s in a name? One phrase that keeps popping up in the documentation from religious orders who do this kind of formation is “creative fidelity” to the order’s charism. The idea, in brief, is that times have changed and what was good for Benedictines, Augustinians, Carmelites, Dominicans, Poor Clares or any nuns in the past isn’t any good anymore. This is the current year! “Creative fidelity” is one of the most popular buzzwords of the Revolution. There are papers and articles on it from all corners of the religious life. In fact, you can find whole books on the subject by Jesuits, if you really want all the details. And you can be sure that it is a high priority right now in the Congregation for Religious as well as the leadership of the religious orders, to help the good sisters to a full understanding of its aims. Taking away all the academic circumlocution, however, it boils down to “fidelity” to the aims of the Revolution, while maintaining a veneer of respectable religious terminology, more or less a textbook definition of Neo-Modernism. A sample of the guiding principles that will govern the creation of these external formation programmes is not difficult to find, and the expression “creative fidelity” does not take long to appear. In February 2016, in a talk titled “On-going formation for Discalced Carmelite Nuns: a Proposal,” the Father General fo the Carmelite order, Fr. Saverio Cannistrà, told assembled cloistered nuns to get ready for major changes, including the need to adopt “creative fidelity” to their charism. “If we do not continually work on our identity as religious, contemplatives, and Teresian, it is inevitable that the model we received during our initial formation will become a suit too tight for a body that has meanwhile grown,” Cannistrà said. “On-going formation helps religious to integrate creative fidelity since the Christian and religious vocation requires dynamic growth and fidelity to the demands of concrete circumstances. …“To follow Christ,” means to put oneself always on the path, to guard oneself from sclerosis and hardening, in order to be capable of giving living and true witness to the Reign of God in this world. “Such a demand for on-going formation is particularly urgent in this historical time that we are asked to live in, a time of major changes that present us with new questions. “There are many perplexing questions before us that do not have clear answers, already written in some text. Even those that are written in texts, for example the Constitutions [of the Carmelite order], often require contextualization in new historical and cultural situations and interpretation according to the spirit more than the letter. Five months after giving this speech, jammed from top to bottom with the favourite Neo-Modernist buzzwords of the progressivist revolutionaries in the Church, Pope Francis helpfully answered these questions by issuing Vultum dei quaerere requiring all cloistered nuns to join Federations, who would be put in charge of creating external “ongoing formation” courses under the supervision of the Congregation. “Overwhelming,” unnecessary and destabilising: what do the actual nuns say? She added that CO’s mandated Aspirancy programme, added to the normal formation time from postulancy, to novitiate and temporary vows, would do nothing more than create more work for the nuns and more uncertainty for the candidates. The document’s language was strange, she said, and not in keeping with what she understood to be the nature of religious life at all: “Cor orans makes mention several times of ‘possessing natural gifts.’ This focus on one’s own gifts is troubling. The only gift that matters is the gift of oneself to Christ. That should be the focus. I make no particular pronouncements about the quality of material that came out of Rome prior to the advent of the Bergoglian regime. I haven’t examined many of Pope Benedict’s documents as closely as these, so it may well be that this habit is merely a continuation of what has been happening since the “time bombs” of Vatican II and the “new normal” for the Catholic Church. From now on, “the Congregation for Religious” will do. The catastrophic results of allowing and even encouraging such practices – effectively the abandonment of the orders’ original charisms and the adoption of the Vatican II “New Paradigm” – I laid out in “A Dismal Record: Why are they destroying the nuns?” for the Remnant, June 3, 2018. In brief, the herding of all remaining cloistered nuns into federations and the imposition of “ongoing formation” programmes to indoctrinate novices and nuns into the New Paradigm seems to be what VDQ and Cor orans is about, practices that have already driven cloistered life to the brink of extinction.